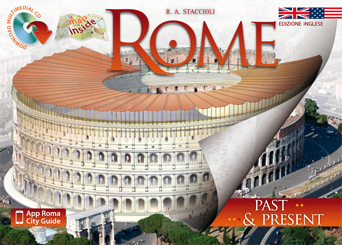 The Vision’s Pompeii and Herculaneum guide book contains history and curiosities about Pompeii, Herculaneum and their monuments, along with 8 past & present images. This is the spanish edition. This guidebook includes a FREE CD-Rom. Authors: Elio Abatino, Alfonso De Francisis, Irene Bragantini. The Guide to Pompeii and Herculaneum by Vision – Past & Present contains the history of Pompeii, Herculaneum and their temples and monuments, told on a fascinating journey through the ruins. A guide full of curiosity, images and historical information about Mount Vesuvius and its famous eruption, which in AD 79 destroyed Pompeii and Herculaneum. 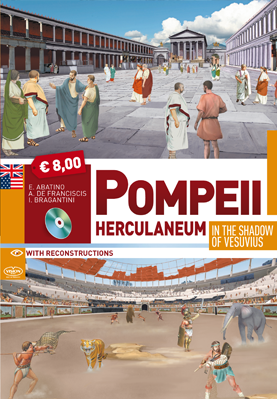 And you will find 8 accurate graphic reconstructions of the monuments and temples of Pompeii and Herculaneum, that you will be able to easily overlap to photos of their present states, visually comparing the Past and the Present.